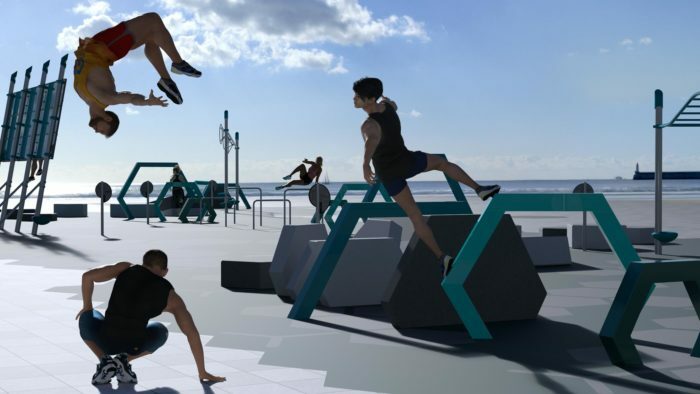 We recently launch our Ninja inspired designs that incorporate bespoke Parkour pieces and high quality fitness equipment to create community fitness areas that inspire. Healthy active communities start with the effective design of our outdoor recreational spaces – promoting general physical and mental well-being and connectedness. Our passion for designing spaces that contribute to our community’s health has gone well past the ideas phase and Playscape Creations is proud to be involved in a number of research projects that support Evidence Based Design – emphasising credible evidence to influence design. Physical activity is the wonder drug that slashes the risk of chronic disease, prevents and treats mental health issues and extends lifespan – and through effective evidence based design Open Space Planners can contribute to the health of our communities.